Rhinoplasty (nose reshaping surgery) is a big step and many patients are counting on the best possible results to help them address functional nasal issues or improve their appearance. However, some patients do not attain the results they hoped for from rhinoplasty procedures, and in some cases, experience complications or ineffective solutions to the initial problem. Revision rhinoplasty, also referred to as secondary rhinoplasty, is a procedure in which our facial plastic surgeon can address issues you may be having from a previous rhinoplasty performed by another surgeon. Dr. Ali Sepehr can fix problems that may have arisen, or help you achieve results more in line with what you had originally envisioned. Please contact OC Facial Plastic Surgery to schedule a consultation with Dr. Sepehr for revision rhinoplasty. Dr. Ali Sepehr will discuss your goals with you during an initial revision rhinoplasty consultation. He will explain all aspects of the procedure with you and talk with you about your expectations. Together, you and Dr. Sepehr will come up with a treatment plan designed to address your needs. What are Common Reasons to Undergo Revision Rhinoplasty? The reasons for considering revision rhinoplasty are many. Some patients are dissatisfied with the results obtained by another plastic surgeon. Others may find that functional issues, like breathing problems, are not fully corrected after the first procedure. In very rare instances, complications could occur initially, and revision rhinoplasty may then be performed to address the effects of this event or to achieve the outcome that was originally intended. 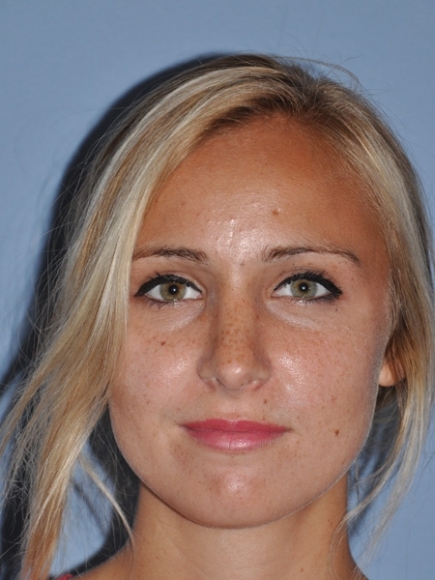 Dr. Sepehr is extensively trained in the delicate and complex technique of revision rhinoplasty. With his experience, precision, and artistic eye, he can help you obtain the look and functionality you’re seeking. How is the Revision Rhinoplasty Procedure Performed? Revision rhinoplasty procedures typically involve taking bone and cartilage grafts from the ear or rib and reshaping them for the nose. The procedure is very complex and requires the skilled hand of an experienced plastic surgeon. Fortunately, Dr. Sepehr is a specialist in facial plastic surgery and can provide very good results with revision rhinoplasty. Incisions will likely be made in the same area as the original rhinoplasty surgery to avoid excess scarring; however, rhinoplasty typically involves very discreet incisions in any case and scarring is virtually invisible. Dr. Sepehr is the most amazing, intelligent, genuine, honest, respectful and gifted human being I have ever met. He is so gifted as a surgeon it’s ridiculous. His work is so good you will wonder why you waited so long to be the best you can be! It is money well spent!!! What Techniques are Used During Revision Rhinoplasty? The majority of revision rhinoplasty procedures use an open approach. This technique allows Dr. Sepehr to have better access to the internal nasal structures and provide the optimal outcome. There may be instances where a closed (endonasal) rhinoplasty can be performed. Dr. Sepehr will let you know which method is ideal for your needs and goals during your initial consultation. 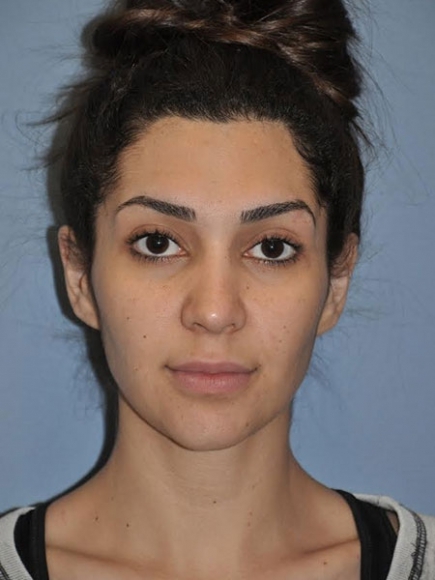 What is Recovery From Revision Rhinoplasty Like? 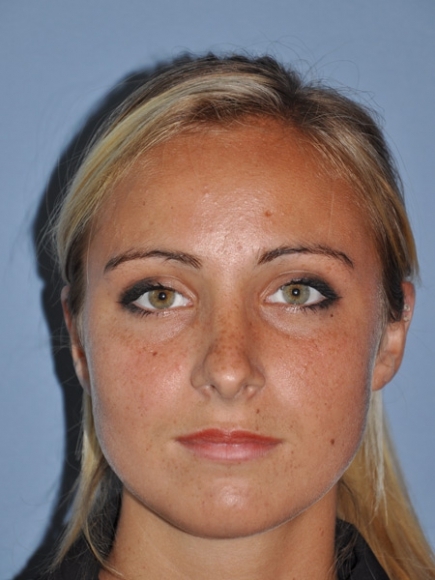 Recovery from revision rhinoplasty is very similar to that of traditional rhinoplasty. You will likely experience swelling, bruising, and discomfort for several days after surgery; however, pain can be relieved with medication. You will need to diligently shield the nose from harm in the first few months after treatment, and avoid blowing your nose for at least a week after revision rhinoplasty. Most patients are able to return to normal daily routines after one week. You will also need to take at least a week off from your regular schedule, perhaps more depending on your individual healing rate. We recommend listening to your body to help determine when you’re ready to return to work, school, and other normal activities. Strenuous exertion, such as sports, exercise, and certain other recreational events, should be avoided for at least a month to a month-and-a-half. Dr. Sepehr can provide a more specific estimate based on the activity you would like to engage in. Swelling, bruising, and tenderness in the treated area is to be expected, and these effects should gradually fade. After a couple of months, you should have a good idea of the final result. Some residual swelling may continue after this point, but you will likely be unaware of it. Will I Have Scars From Revision Rhinoplasty? If an open rhinoplasty is performed, there is usually a small, barely noticeable scar created on the underside of the nostrils, an area called the columella. Most patients find that this incision heals very well. If you’re concerned about scarring, we can provide advice on how to minimize the appearance of the mark using laser skin resurfacing and topical scar-reduction products. Revision rhinoplasty is a more complicated procedure than a first rhinoplasty, and as a result the costs are often higher. The fees associated will depend on your unique treatment plan, and they will also include a hospital or medical facility fee, anesthesiology fee, and other incidentals. We will go over the details of your plan, including the cost, during your initial appointment so you can be well-informed about your options. We also work with CareCredit® and Prosper, two plastic surgery financing agencies that offer appealing terms to qualified applicants if you’re interested in paying installments rather than a lump sum. Select a board-certified facial plastic surgeon. With a revisionary procedure, it is in your best interest to seek the expertise of a surgeon who has exclusive and focused experience in facial plastic surgery. When you entrust your care to a facial plastic surgeon with accreditation from the American Board of Plastic Surgery, it can give you the confidence of knowing your health and appearance is in the hands of a surgeon with intricate training and familiarity with refining the facial anatomy. Read online patient reviews and testimonials. Search through third-party platforms like Facebook, Google, and Yelp to gain an overall idea of a plastic surgeon’s reputation and level of care. Assessments written by previous patients can give you a broad understanding of previous patients’ satisfaction after treatment. 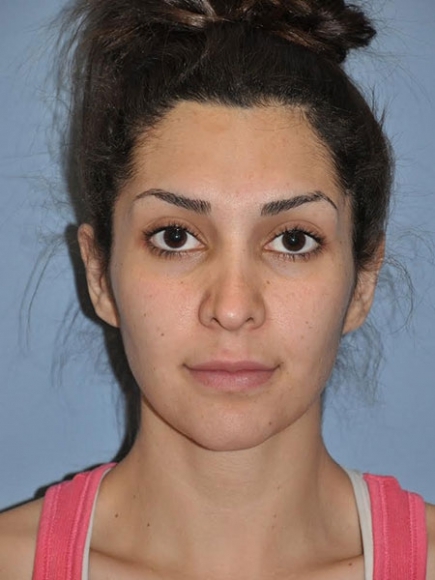 See revision rhinoplasty before-and-after photos. This is perhaps the best way to introduce yourself to a facial plastic surgeon’s portfolio and past work, as the results achieved in previous revision rhinoplasty surgeries can be an excellent indication of the quality of your final outcome. Meet your prospective surgeon in person. All in all, the most important factor in selecting the right facial plastic surgeon is your ability to feel comfortable and confident under their care. A consultation is a great opportunity to ask a prospective surgeon any questions you may have about their experience or the revision rhinoplasty process. Make sure he or she evaluates your concerns thoroughly and fully explains what you can expect during your procedure without pressure or haste. If you would like more information on revision rhinoplasty and secondary rhinoplasty procedures, please contact our practice.